Last Friday night at about 10:00 pm I began receiving phone calls with alarming messages that there was about to be a strike on the San Francisco waterfront. I finally realized that workers had walked off an Italian cruise ship at Pier 35. I put on a warm coat and drove to the Embarcadero to see what was going on. With the diligence and help of Robert Irminger from the Inland Boatman’s Union (ILWU) and Alan Benjamin, a member of the San Francisco Labor Council’s Executive Board, we helped create enough of a buzz that we secured a meeting with the Costa Deliziosa’s Captain, Francisco Serra. I asked the workers to pick 3 or 4 representatives and Robert and I were escorted through the long corridors of the massive ship and up several flights of elevators to the Captain’s quarters. 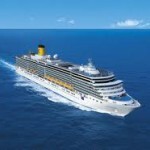 I later realized that the Costa Deliziosa is the sister ship to the notorious Concordia that recently ran aground off the coast of Italy. 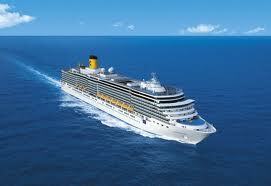 The workers on this ship worked under a contract with the International Transport Federation (ITF) workers and the Italian Trade Unions so the Captain, Irminger and I initiated many international calls, woke up a lot of people in Europe, and eventually the Captain agreed that the compensation would be adjusted. He admitted that it was “a mistake.” During these conversations, negotiations, and calls between Italy, Seattle and San Francisco a settlement agreement was drawn up that locked up not only a wage agreement, but guaranteed that the workers who walked off the job and stood up for their rights would not be disciplined during their tenure with the company. The Captain and I were “deputized” to sign the agreement at approximately 2:00 AM Saturday morning. I asked Captain Serra to invite the workers back onto the ship and he ordered his crew to prepare a dinner for the strikers who would have to be up by 6:00 AM to serve breakfast for the passengers. Workers in a foreign port and a foreign land who felt disrespected had stood up for their rights. It wasn’t easy, but when workers have a union they have a voice at work. This was not a mutiny. This was a piece of our labor movement. This entry was posted on Monday, January 30th, 2012 at 5:56 pm	and is filed under Blog. You can follow any responses to this entry through the RSS 2.0 feed. Both comments and pings are currently closed. International solidarity in the age of globalization…Good work Tim. Good work and good news! Thank you for giving us the good tidings!